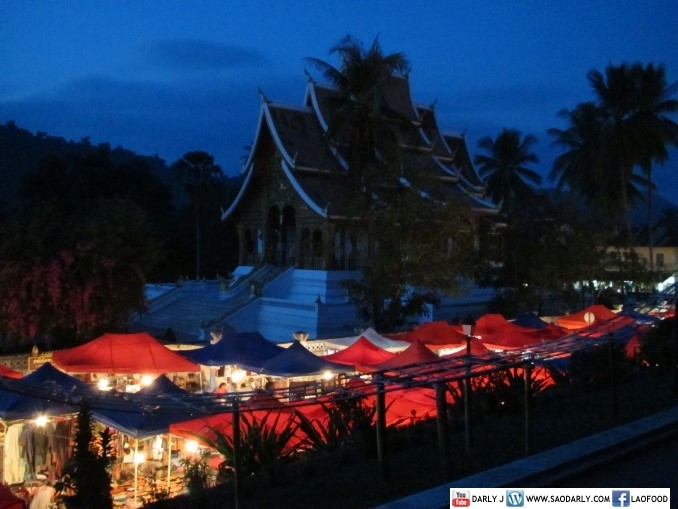 Within a few minutes, it was quite dark already with not much lighting along the steps of Phousi. 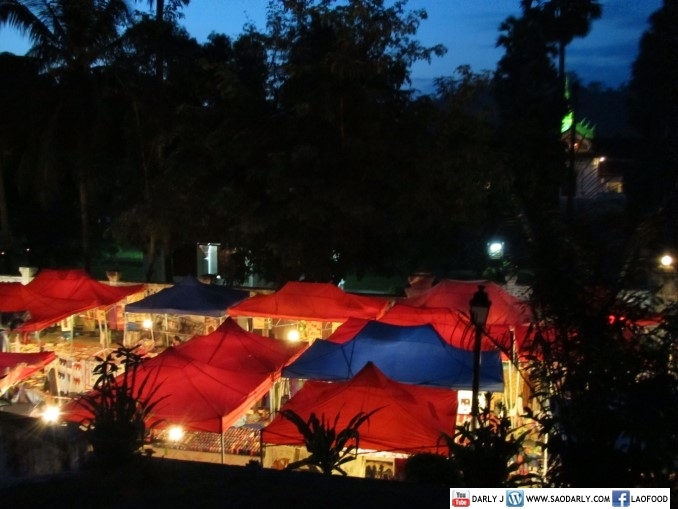 It was a beautiful sight to see of a night market area, with glowing lights and colors from the red and blue tents. 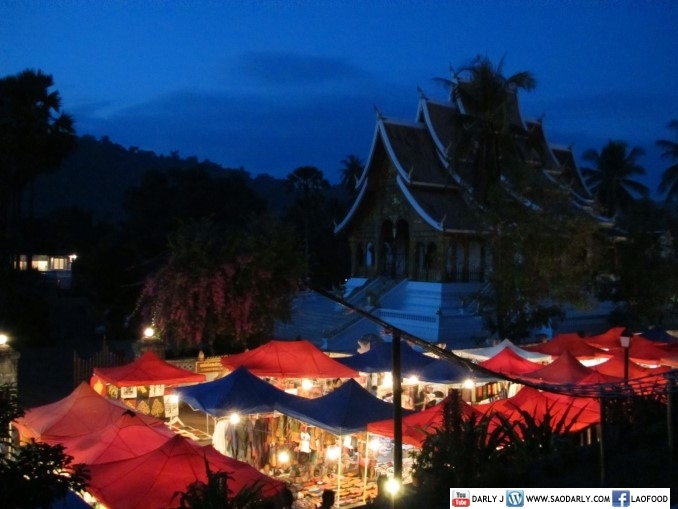 I wanted to be in Luang Prabang for Boun Ok Phansa (End of Buddhist Lent) and witness the celebration. It was what I expected and more as I stood there and listen to the sounds of the monks chanting over the loud speaker from the top of the hill. Thank you for your visit and for taking the time to read my post. 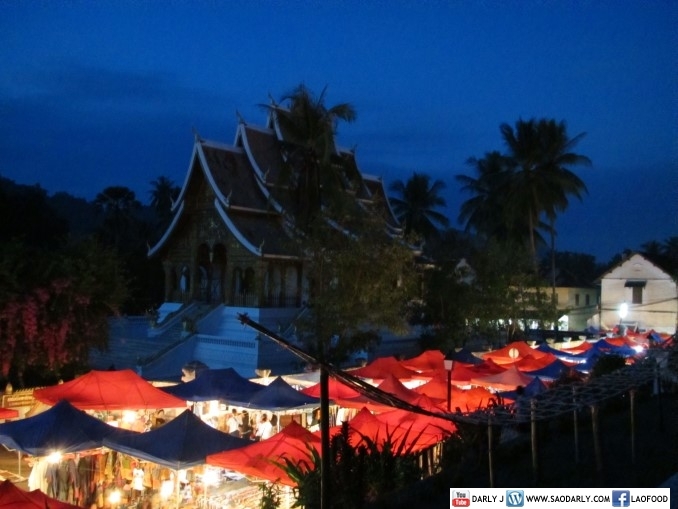 I saw your beautiful photos of Savannakhet and hope to visit the place around Boun Ok Phansa or That Inhang Festival. I went to Pakse via bus a few times and only saw the bus station at Savannakhet and would love to spend a few days there, visiting all the important places.